Summary: Convicted murderer Jodi Arias’ attorney during the trial has been disbarred for writing a tell-all book about his experience working with her. The attorney that defended convicted murdered Jodi Arias has been disbarred. 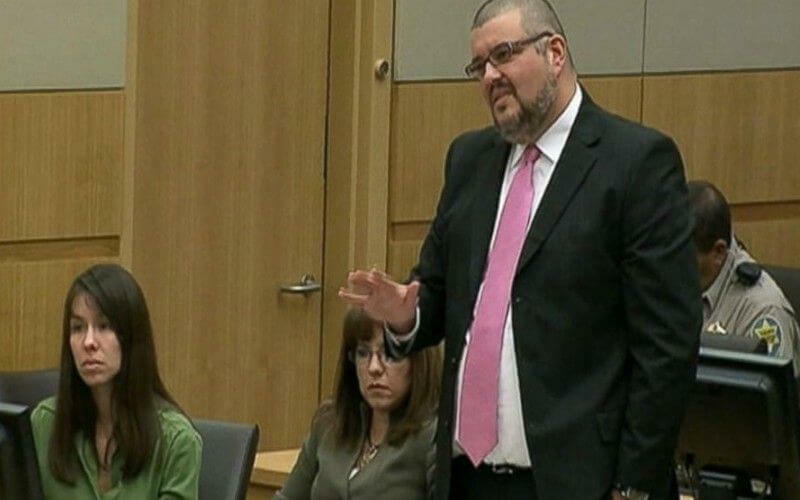 Laurence “Kirk” Nurmi defended Arias for years before being asked to be removed from the case and Arias asked for new counsel. Nurmi wrote a book, which is supposed to be part of a series, where he detailed his experience working with Arias during the trial. A complaint was filed against him and his book “Trapped with Ms. Arias.” The complaint alleges that confidential and private conversations between him and his client Arias were included. Arias claims she has never given approval for publication of the discussions. The prosecutor in the trial, Juan Martinez also wrote a book about his experience. He is facing an ethics complaint. He has been accused of unprofessional behavior at trial. He is appealing his probation sentence. Nurmi will not appeal his disbarment. He was diagnosed with cancer during the trial and is now in remission. Do you think attorneys should be given some freedom of speech rights? Tell us in the comments below.